You may have heard that real estate is a seasonal market as well as a cyclical market. Both statements are true, though a much greater extent for the former than the latter. From a seasonal perspective, Front Range real estate follows a well-worn path every year that mirrors the temperatures outside – the coldest temps in winter also bring the coldest market conditions and the fewest sales. As the temperatures rise, so do sales, building to the peak sales months in June, July and August. From a cyclical perspective, the pattern is not nearly as obvious. In fact, the theory that real estate follows a cyclical pattern is sound, but the notion that the cycle is the same each time and can be predicted with such certainty as to name it “the 7-year-cycle” or the “18-year cycle” is suspect. The theoretical underpinnings of a real estate cycle can be summarized as follows: during an expansion phase, home values rise as jobs, income and the new residents those jobs attract all increase. This phase draws builders to the market, who construct lots of new homes. According to the theory, the cycle eventually shifts from an expansion phase to a contraction phase as too many properties come on the market and incomes fail to keep pace with rising home prices. In the contraction phase, home values fall, or more often, just level off and plateau for a few years as the market “recharges” for another expansion phase. All of the dynamics that comprise this cyclical theory are forces that can easily be seen in our market today. So clearly, there are real world underpinnings to the theory. But acknowledging the existence of these forces is one thing; attempting to predict when the balance of these forces will shift from expansion to contraction is a whole different ball game. 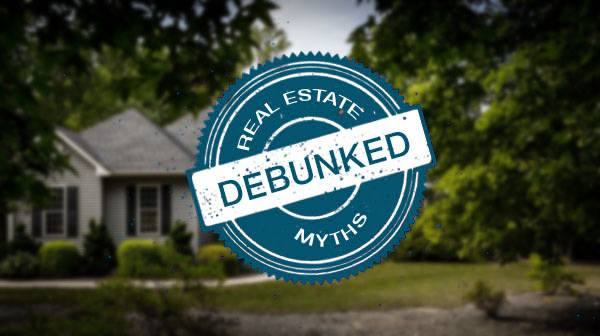 In fact, at a recent presentation about the future of real estate along the Front Range, analyst Lou Barnes flat out said he simply does not believe you can predict market cycles based on preordained cycle times. According to Lou, statements like “we are 7 years into a cycle so there must be a downturn coming,” are nothing but guesses with little statistical support. Lou, who is a nationally syndicated real estate columnist, worked at the Federal Reserve, studied the Front Range market for over 40 years, says “show me the data” for any market prediction based solely on a cycle. From a lending perspective, today’s market has absolutely nothing in common with the bubble market of the early 2000s, which was largely created by loose mortgage standards. Credit was too easy then, and it’s arguably too tight now. One market is an apple, the other an orange. The scarcest commodity along the Front Range is the land and the development rights beneath a single-family home. The land is what appreciates in value. The home on top of the land is actually a depreciating asset. And even the “land” associated with a condo, aka the right to occupy the air space, is a scarce and appreciating asset, albeit to a lesser extent. The Front Range, especially on the west side of the corridor from the Springs north to Fort Collins, is transitioning from a “kingdom of sprawl” to a denser way of living. The Front Range is unquestionably a desirable place that offers a high quality of life, but it is not alone in attracting new residents. We are part of a much larger US migration pattern of people moving from rural areas to urban and suburban areas. This migration is massive and on the scale of the post-World II migration of Americans south and west to the Sunbelt. Lou’s presentation and take-aways reminded me to keep the big picture in mind when thinking about real estate. Market shifts occur, but they are tough to predict and certainly don’t follow a predetermined cycle or schedule. Much easier to get a handle on are your own needs, wants, and dreams. And lastly, Colorado is a great place to live, and always will be. $239,000 for Condos/Townhomes (up 12.6% from 1 year ago). $308,250 for Condos/Townhomes (up 8.2% from 1 year ago).